OK, Ashley must really love her Louis Vuitton Multipli-cité, because quite frankly… she’s all over the blogs, and while she’s got a ton of LV, she seems to be favoring this little wardrobe staple over other really great pieces. In fact recently… I hardly seen her carrying anything else. And have you noticed? Take a look at the pics- it’s like she’s doing all she can to make sure we get a good picture- not of her… but of the bag! Don’t get me wrong. The Multipli-cité is a fantastic bag! It’s big, roomy and let’s face it, I can use all the pockets I can get!!! But it just seems that her bags are almost “product placement”. I mean, I’m not saying that LVMH is paying Ash to wear their bags, but maybe she wants it to look that way? Anyway, if you’re buying what she’s selling… (and I am- I mean, she looks dang cute in that first picture- and the whole Disney High School Musical cast bugs me)… then we can help you wear what she’s wearing, for less than the Boutique or Eluxury $1400 sticker price. 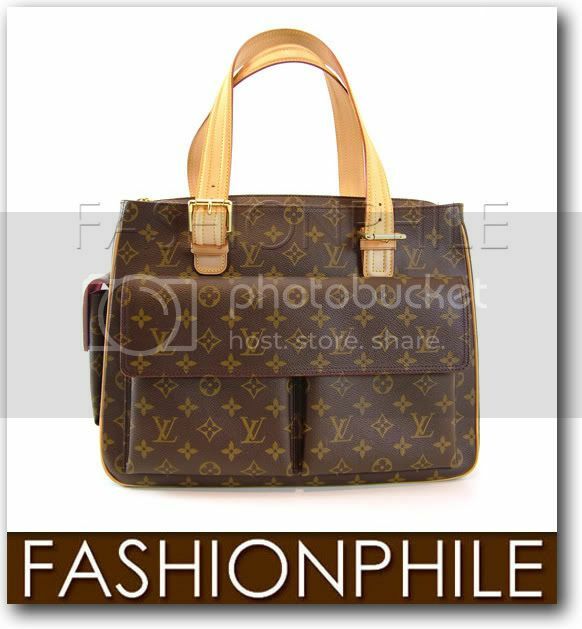 We have a gorgie, authentic, pre-owned Louis Vuitton Multipli-cite listed on eBay right now, that will sell for hundreds less than retail! So, go ahead… check it out! And remember, free shipping on any item that I blog about if you read about it here!! !